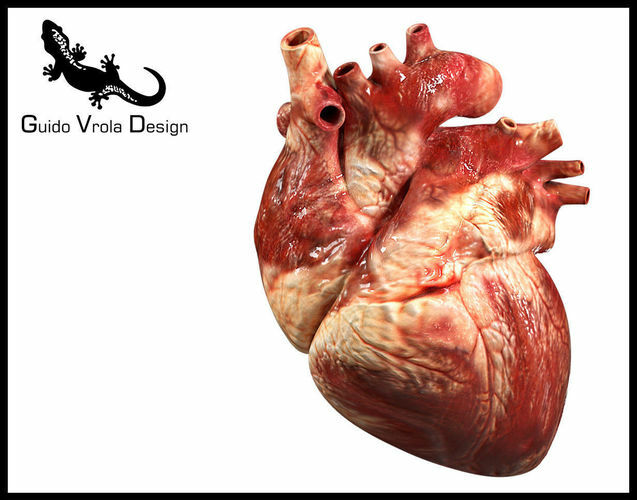 High detailed 3D model of an accurate human heart. Modelled in Blender 2.78 with materials and high resolution diffuse, normal and specular maps, for accurate rendering. Ready to be rendered with Cycles as shown in the pictures. This model require a 2.78 or higher Blender built with Cycles render engine. This model has a clean quad based geometry and it is exported in .3ds, .dae, .fbx and .obj. The model can be subdivided according to your needs or used as it is. Shaders are created and usable only inside Blender, but materials and textures are still presents in the other formats.